Adidas' reported 10-year kit agreement with Spanish club Real Madrid is worth £106m annually. Does it represent value or is the sportswear brand creating its own "inflationary spiral"? Marketing spoke to two sponsorship experts to find out. At the tail end of last week news broke of the biggest-ever kit sponsorship deal in football history, with Spanish football website Marca reporting that Adidas and Real Madrid were poised to sign a decade-long agreement, worth €140m per year. If accurate, the Real Madrid figure is significantly more than Adidas’ existing €38m deal with the club. Such a large amount would also raise a question mark over findings that Manchester United has overtaken Real Madrid as the world's richest club, according to a report published earlier this year. Adidas' latest Real Madrid deal would significantly outstrip its £75m-a-year agreement with Manchester United, which in itself broke football sponsorship records when it was signed in 2014. The figure was so high that, at the time, it led other Adidas-sponsored clubs to contact the brand and question the value of their own deals, says Simon Rines, editor at IMR. "Adidas are creating their own inflationary spiral here. It doesn’t appear to make sense from a business perspective." For Carsten Thode, chief strategy officer at sports marketing agency Synergy and former Manchester United strategist, Adidas’ experience with Manchester United is precisely why the brand has done the Real Madrid deal. "For me, the biggest signal the reported size of the deal sends is the fact that the United deal is creating value for them," he says. "They have spent enough time with United to generate the confidence to say that this is worth doing." 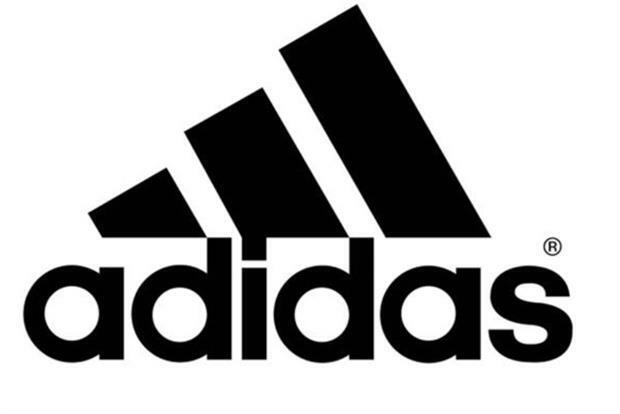 Thode says that the Manchester United deal benefits Adidas in several areas. "First and foremost, is all the sales of kit, which they will get a significant amount for, and Manchester United sells a lot of kit, over a million [shirts]," he adds. "You don’t have to do the maths to see that that makes a lot of money." An interesting aspect of Adidas' Real Madrid deal is that the brand already had an agreement with the club signed in 2012 and set to run until 2020. So why renew now at an apparently inflated price? Rines points out that deals do occasionally get renewed early and renegotiated, "if the rights holder thinks that they are at a major disadvantage". For Thode, an early renewal does not strike him as odd. "It’s not unusual for a deal to be renegotiated early and obviously it’s in the team’s interests to up the stakes, raise the price and get a longer-term commitment," he says. "It's in the dealer’s interests to do that kind of deal without letting the property get to market." Nike acted similarly on the other side of the Atlantic, where they renegotiated and extended an existing agreement with the NFL. Nike was acting to protect its associations with American football from other sportswear brands. Thode suggests that, in part, this is what accounts for Adidas’ willingness to pay out such a high amount for Real Madrid. "Clearly, Real Madrid is a very special club in terms of its global popularity and the amount of kit it sells," he says. "But It’s important that Adidas has a counterbalance to Nike, which has Barcelona." Rines adds: "It would, of course, be interesting to see the fine print of the contract and analyse whether Adidas is doing this deal for its immediate commercial return (in other words shifting stock), or whether it considers that Real Madrid is the world's biggest club and it has to keep them at all costs in order to maintain its market position. "The company is clearly worried that Nike has become so big on football, and that Puma and Warrior are also beginning to look like a threat." Thode concurs that the kit manufacturer marketplace is growing increasingly competitive, with relative newcomers such as New Balance and Under Armour making inroads. "For a small group of clubs that sell a lot of kit, the amount that kit manufacturers are paying has, arguably, been undervalued," he says. "The new players have shaken things up a bit, causing the traditional players like Nike, Puma and Adidas to reassess how much value they can create and be more realistic about how much value those kit deals can capture." The new players have shaken things up a bit, causing the traditional players like Nike, Puma and Adidas to reassess how much value they can create and be more realistic about how much value those kit deals can capture. When Nike terminated its 13-year relationship with Manchester United back in 2014, it said at the time that the partnership no longer represented "good value" for the company’s shareholders. However, what represents good value for one business can differ markedly from what represents value for another. Thode highlights a common misconception about sponsorship deals – that they are worth the same to any company in any sector. "A sports sponsorship property is worth different amounts to different companies," he says. "Manchester United will be worth a different amount to Adidas than Nike because they have different product ranges, business models, strategies, channels, relationships with ambassadors and other partners. "If you think about it deeply, it makes perfect sense. An Olympic sponsorship is worth a completely different amount of money to Cisco, which is using to build its B2B network, than it is to Coca-Cola and P&G, because they all have different ways to capture the sponsorship value."